for many years here starting when he was in High School. One of his many accomplishments was to own a large combine and he set up a business to thrash beans throughout the Magic Valley for several years. made him the happiest. Leonard had a love of family and with eight children he found his love for life and great joy. Leonard Married Bessie Whitworth in 1942. That marriage brought a son James and a Daughter Leona. They divorce in 1971 and Leonard met and married Doris Blacker in 1972 who had six children, Jim, Diana, Dan, Phyllis Lundy and Verl. He was a loving father and loved having all his children. 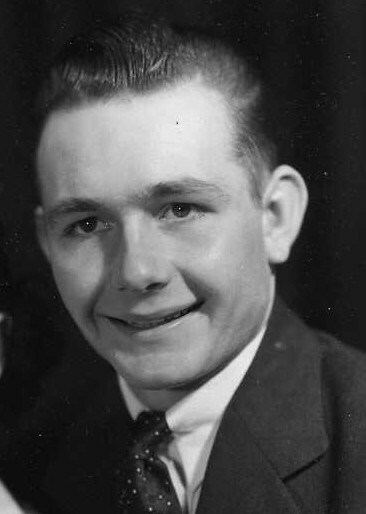 He enjoyed many service organizations as he was a member of the Rupert Elks, on the Board of the East End Electric Mutual Co. and answered many callings as a member of the LDS church. and adopted sons in the Valley. He was preceded in death by his parents, brothers, loving wife Doris, granddaughter Debora, great grandson Thomas, several nephews, aunts, uncles and cousins along with many friends in the Valley. The funeral service will be held at 2:00 p.m. on Saturday, November 10, 2018 at the Rupert 7th Ward Chapel of the Church of Jesus Christ of Latter-day Saints. A viewing will be held for one hour prior to the service at the church. Burial will follow at the Rupert Cemetery. Arrangements are under the direction of Joel Heward Hansen Mortuary.